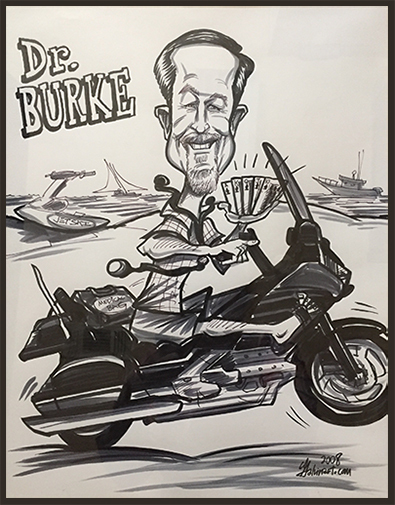 Dr. Burke feels it is an honor to be caring for patients at his Keller practice for over thirty years. He was raised in the metroplex and attended Trinity High School. 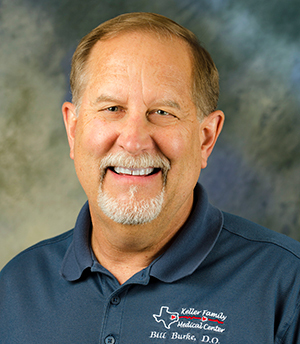 He received his undergraduate degree from Texas Tech and graduated in 1982 from the University of North Texas Health Science Center (TCOM). Dr. Bill Burke followed his father, Dr. J.W. Burke, into Family Practice. Having lived in Keller since 1980, while attending medical school, he saw a need for medical care in a growing city. He can be seen routinely out on the Keller trail system running or riding his bike. Dr. Burke and his wife Beverly have three grown children and five grandchildren. Dr. Burke’s interests are in preventative health care, allergy treatment and total family health care.